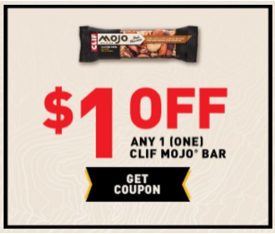 $1 off any One Clif Mojo Bar = FREE at Price Chopper! These are on sale for $1 at Price Chopper = FREE! This one may go fast!